Efficient learning, as I'm sure you will agree, requires students to consciously employ a set of critical strategies. It also becomes our responsibility as their teachers to help them be scholastically successful. Why are they arriving in my classroom unprepared for learning? When I ask them to "pay attention," in class--do they really KNOW how to do that? If I ask them to take notes, do they know how to go about doing that effectively? What follows on this page is a collection of academic strategies that students can use to become better and more efficient learners. Here you'll also find some suggestions that may enhance your effectiveness with your kids. These academic strategies for students are presented in the form of PDF documents that may be downloaded completely free of charge. I'm sure that you will agree that students are notoriously forgetful, especially when it comes to bringing what they need for the day in the classroom. After all, if they haven't got what they need, they don't have to participate! Sorry, kids. In my classroom, it just doesn't work that way. Everything that you will EVER need on any given day in my classroom is permanently housed here. Literally, the only things that students need to bring to my classroom are paper and a writing instrument. If they manage to forget those as well, I have provisions to provide. There is a double bonus here. Students are prepared to learn because they have all of the materials that are required AND my classroom management is enhanced. For much more about how to set up a classroom that encourages students to be prepared for learning, please see my Classroom Organization page. At Twin Lakes, all students are issued planners during the first week of school. These planners have the school calendar, code of conduct, and sections for each class subject divided into the individual days and weeks of the school year. We require each student to copy into their planners the daily class schedule and homework assignments for each class. 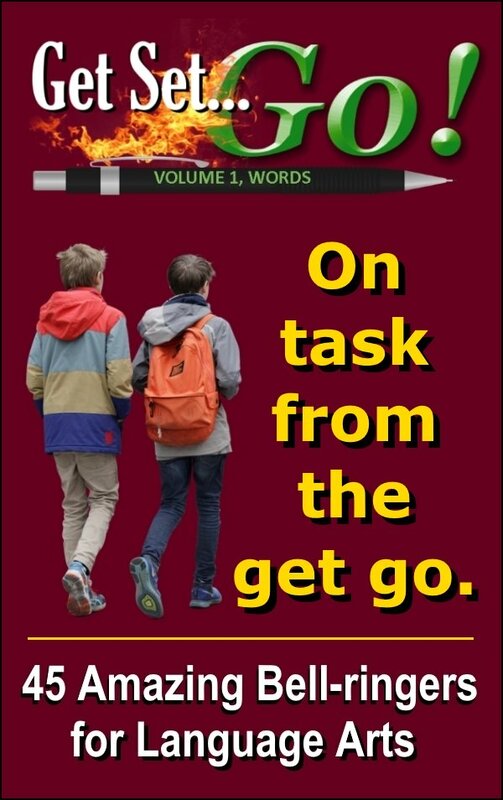 Not only does this help students become more organized and focused on the tasks at hand, it also comes in handy for communicating with parents. For example, if parents are concerned about whether their student is handing in homework, they may request that the student have the teacher initial their planners. Additionally, if students are misbehaving in class, parents can request that teachers indicate that in their planners. Yes, I agree--it sounds like just something else that you have to do. But, it DOES enhance efficient learning. Beginning at this point of the efficient learning page, I am introducing screenshot examples of PDF documents intended to be distributed to kids. Because these screenshots are much smaller versions of the original documents, they are difficult to read. As a result, I am also including the text of each document for your convenience. It is important for you to be a good listener in class. Much of what you will have to learn will be presented verbally by your teachers. Just hearing what your teachers say is not the same as listening to what they say. Listening is a cognitive act that requires you to pay attention and think about and mentally process what you hear. 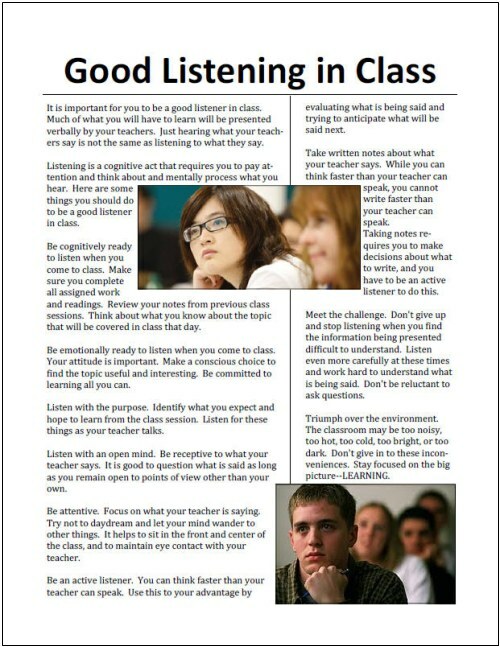 Here are some things you should do to be a good listener in class. Be emotionally ready to listen when you come to class. Your attitude is important. Make a conscious choice to find the topic useful and interesting. Be committed to learning all you can. Be an active listener. You can think faster than your teacher can speak. Use this to your advantage by evaluating what is being said and trying to anticipate what will be said next. Take written notes about what your teacher says. While you can think faster than your teacher can speak, you cannot write faster than your teacher can speak. Taking notes requires you to make decisions about what to write, and you have to be an active listener to do this. Triumph over the environment. The classroom may be too noisy, too hot, too cold, too bright, or too dark. Don't give in to these inconveniences. Stay focused on the big picture--LEARNING. 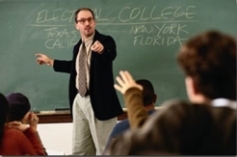 In classes, your teachers will talk about topics that you are studying. The information they provide will be important for you to know when you take tests. You must be able to take good written notes from what your teachers say. Taking good notes is a three-stage process in which there are certain things you should do before class, during class, and after class. Here are the three stages of note taking and what you should do during each stage. Review your notes from the previous class session before you come to class. This will help you remember what was covered and get you ready to understand new information your teacher provides. Complete all assigned readings before you come to class. Your teacher will expect that you have done this and will use and build upon this information. 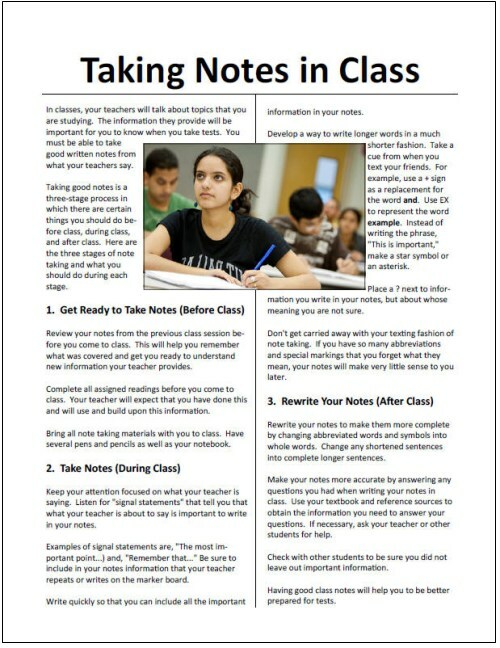 Bring all note taking materials with you to class. Have several pens and pencils as well as your notebook. Keep your attention focused on what your teacher is saying. Listen for "signal statements" that tell you that what your teacher is about to say is important to write in your notes. 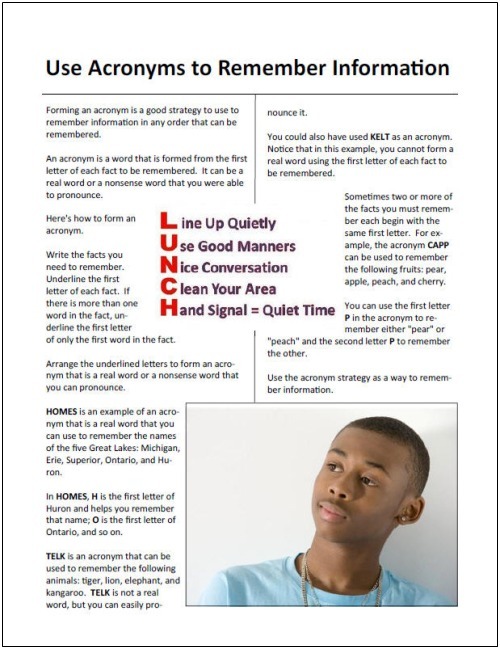 Examples of signal statements are, "The most important point...) and, "Remember that..." Be sure to include in your notes information that your teacher repeats or writes on the marker board. Write quickly so that you can include all the important information in your notes. Develop a way to write longer words in a much shorter fashion. Take a cue from when you text your friends. For example, use a + sign as a replacement for the word and. Use EX to represent the word example. Instead of writing the phrase, "This is important," make a star symbol or an asterisk. Place a ? next to information you write in your notes that you have questions about. Don't get carried away with your texting fashion of note taking. If you have so many abbreviations and special markings that you forget what they mean, your notes will make very little sense to you later. Rewrite your notes to make them more complete by changing abbreviated words and symbols into whole words. Change any shortened sentences into complete longer sentences. Make your notes more accurate by answering any questions you had when writing your notes in class. Use your textbook and reference sources to obtain the information you need to answer your questions. If necessary, ask your teacher or other students for help. Check with other students to be sure you did not leave out important information. Having good class notes will help you to be better prepared for tests. Forming an acronym is a good strategy to use to remember information in any order that can be remembered. An acronym is a word that is formed from the first letter of each fact to be remembered. It can be a real word or a nonsense word that you were able to pronounce. Here's how to form an acronym. Write the facts you need to remember. Underline the first letter of each fact. If there is more than one word in the fact, underline the first letter of only the first word in the fact. Arrange the underlined letters to form an acronym that is a real word or a nonsense word that you can pronounce. HOMES is an example of an acronym that is a real word that you can use to remember the names of the five Great Lakes: Michigan, Erie, Superior, Ontario, and Huron. In HOMES, H is the first letter of Huron and helps you remember that name; O is the first letter of Ontario, and so on. TELK is an acronym that can be used to remember the following animals: tiger, lion, elephant, and kangaroo. TELK is not a real word, but you can easily pronounce it. You could also have used KELT as an acronym. Notice that in this example, you cannot form a real word using the first letter of each fact to be remembered. Sometimes two or more of the facts you must remember each begin with the same first letter. For example, the acronym CAPP can be used to remember the following fruits: pear, apple, peach, and cherry. You can use the first letter P in the acronym to remember either "pear" or "peach" and the second letter P to remember the other. To become a flexible reader, you need to know how to select and use a reading style that is consistent with your purpose for reading. There are three important reading styles you should learn to use. Each has its own purpose. Knowing when and how to use these three reading styles will make you a flexible reader. 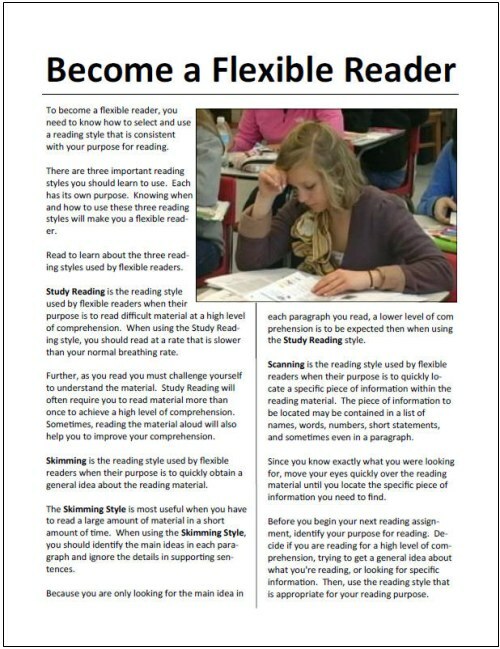 Read to learn about the three reading styles used by flexible readers. Study Reading is the reading style used by flexible readers when their purpose is to read difficult material at a high level of comprehension. When using the Study Reading style, you should read at a rate that is slower than your normal breathing rate. Further, as you read you must challenge yourself to understand the material. Study Reading will often require you to read material more than once to achieve a high level of comprehension. Sometimes, reading the material aloud will also help you to improve your comprehension. Skimming is the reading style used by flexible readers when their purpose is to quickly obtain a general idea about the reading material. 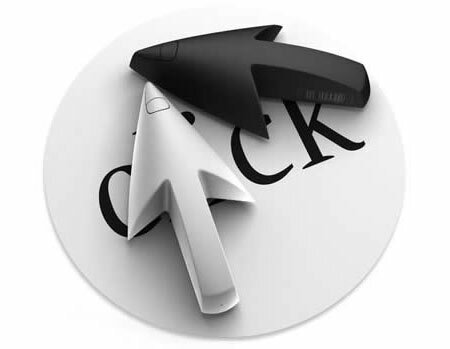 The Skimming Style is most useful when you have to read a large amount of material in a short amount of time. When using the Skimming Style, you should identify the main ideas in each paragraph and ignore the details in supporting sentences. Because you are only looking for the main idea in each paragraph you read, a lower level of comprehension is to be expected then when using the Study Reading style. Scanning is the reading style used by flexible readers when their purpose is to quickly locate a specific piece of information within the reading material. The piece of information to be located may be contained in a list of names, words, numbers, short statements, and sometimes even in a paragraph. Since you know exactly what you were looking for, move your eyes quickly over the reading material until you locate the specific piece of information you need to find. Before you begin your next reading assignment, identify your purpose for reading. Decide if you are reading for a high level of comprehension, trying to get a general idea about what you're reading, or looking for specific information. Then, use the reading style that is appropriate for your reading purpose. 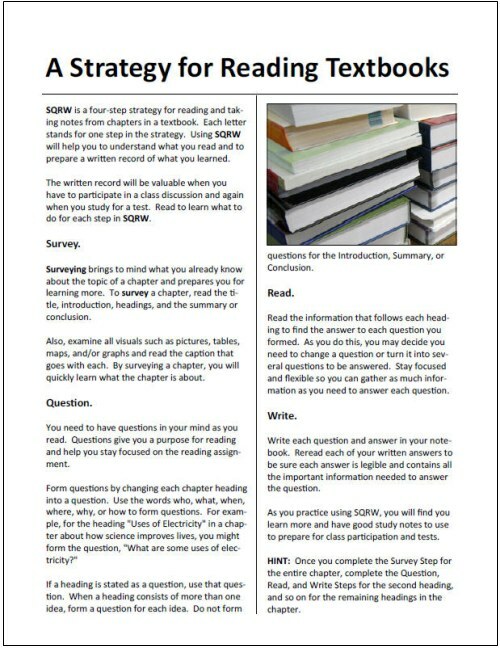 SQRW is a four-step strategy for reading and taking notes from chapters in a textbook. Each letter stands for one step in the strategy. Using SQRW will help you to understand what you read and to prepare a written record of what you learned. The written record will be valuable when you have to participate in a class discussion and again when you study for a test. Read to learn what to do for each step in SQRW. Surveying brings to mind what you already know about the topic of a chapter and prepares you for learning more. To survey a chapter, read the title, introduction, headings, and the summary or conclusion. Also, examine all visuals such as pictures, tables, maps, and/or graphs and read the caption that goes with each. By surveying a chapter, you will quickly learn what the chapter is about. You need to have questions in your mind as you read. Questions give you a purpose for reading and help you stay focused on the reading assignment. Form questions by changing each chapter heading into a question. Use the words who, what, when, where, why, or how to form questions. For example, for the heading "Uses of Electricity" in a chapter about how science improves lives, you might form the question, "What are some uses of electricity?" If a heading is stated as a question, use that question. When a heading consists of more than one idea, form a question for each idea. Do not form questions for the Introduction, Summary, or Conclusion. Write each question and answer in your notebook. Reread each of your written answers to be sure each answer is legible and contains all the important information needed to answer the question. HINT: Once you complete the Survey Step for the entire chapter, complete the Question, Read, and Write Steps for the second heading, and so on for the remaining headings in the chapter. As a matter of fact, the same three people were in mind when writing the Test Taking Tips page. If you get a chance and feel so inclined, have a look at it. All of the efficient learning documents represented by the screenshots above are available in one PDF package, which I am offering completely free of charge. 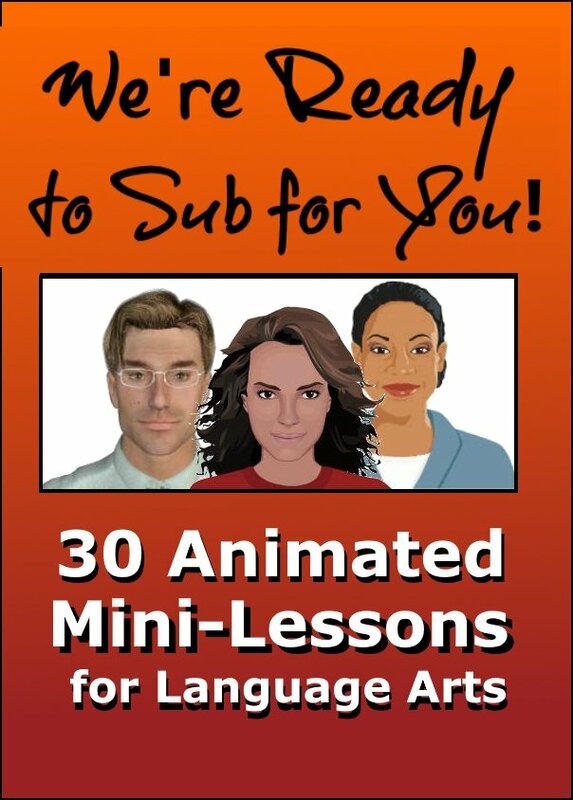 Maybe take a split second to click on my Facebook Like button, or take a minute or two to add a brief comment about one of the Daily Teaching Tools pages that you may have found useful. Or, how about grabbing a T-shirt or coffee cup at The TeacherMarket? Potato Feathers! If you really want to go all out, purchase one of my software products! In the meantime, you may download the Efficient Learning Package here. Hopefully, the Efficient Learning Package will help your kids to become better-equipped students who are more proactive and effective in their approach to learning. I know that what I'm offering here is by no means a total solution, but I think it's a pretty good start. If you get a minute, which is a challenge for all of us, give me some feedback on this at my Contact Chad page. It would be great to hear from you.